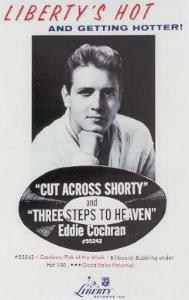 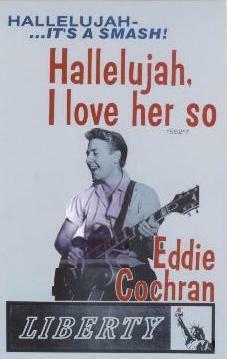 Three color reproduction poster of the ad for "Cut Across Shorty" and "Three Steps To Heaven" Three color reproduction poster of the ad for "Hallelujah, I love her so" Three color reproduction poster of the ad for "Mean When I'm Mad" Three color reproduction poster of the ad for "Eddie Cochran, Live in concert, Chadron Nebreska, 3 October 1959"
Disco Revue / July 1963 / # 19. 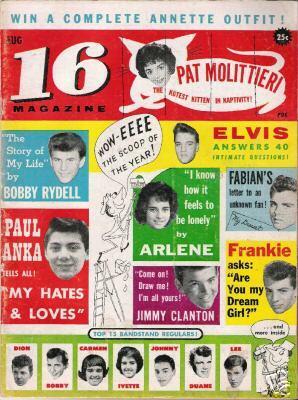 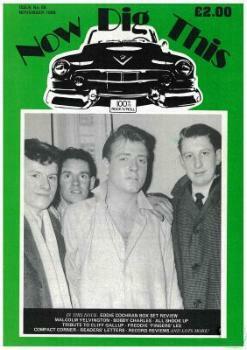 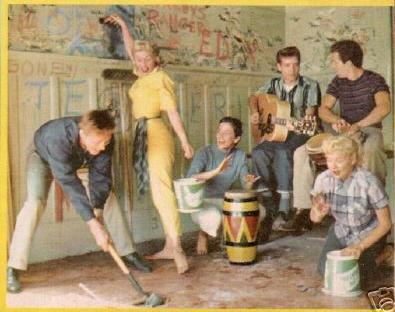 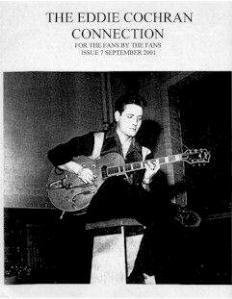 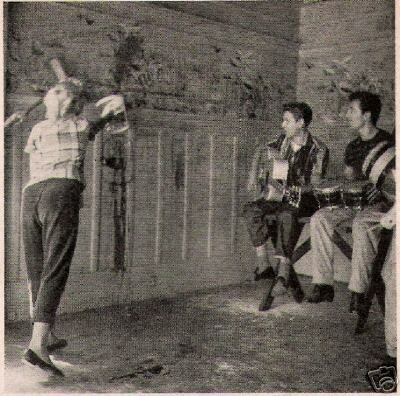 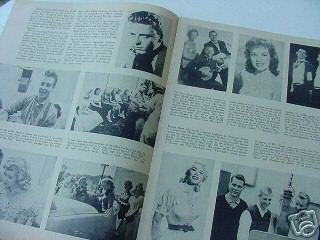 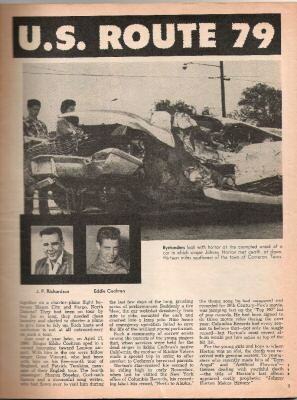 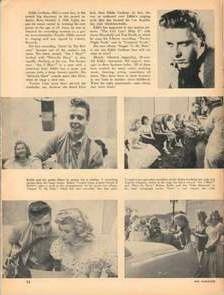 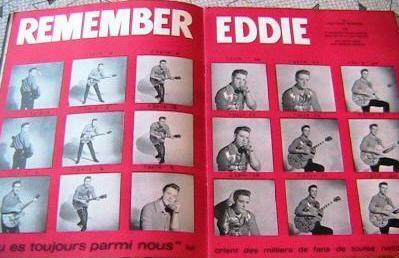 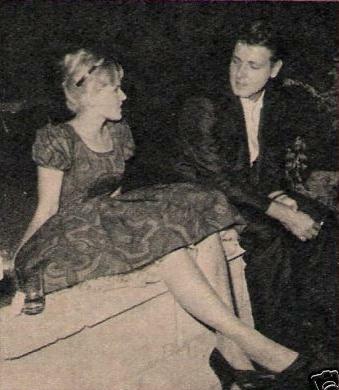 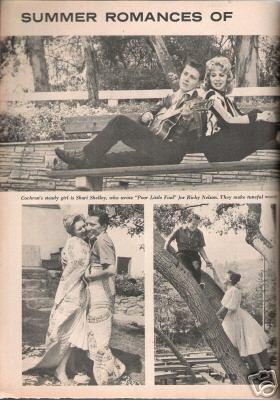 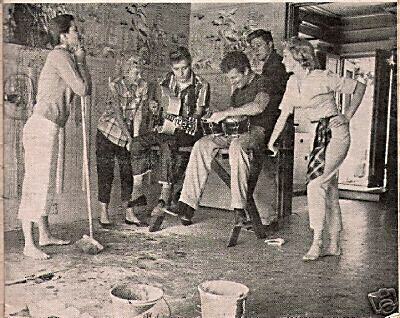 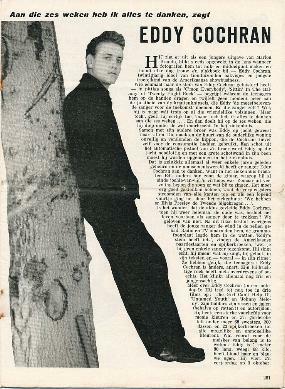 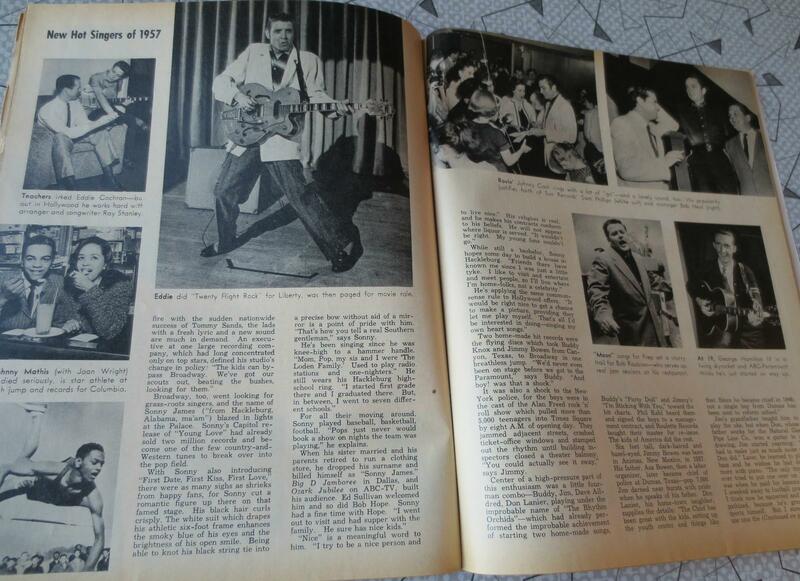 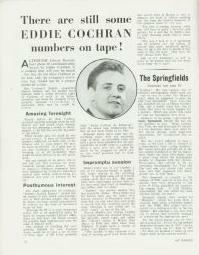 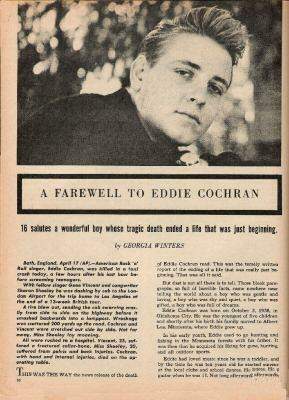 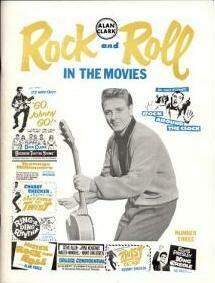 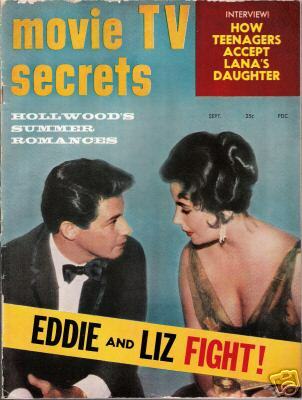 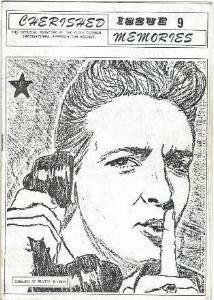 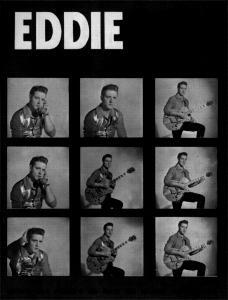 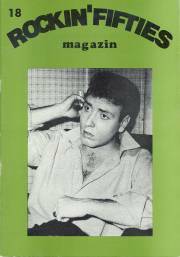 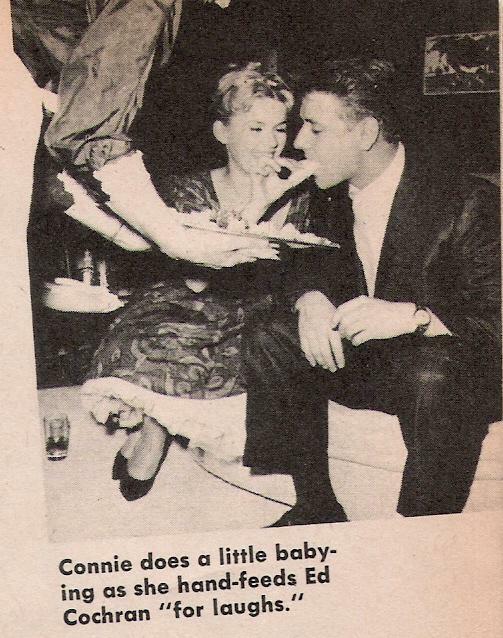 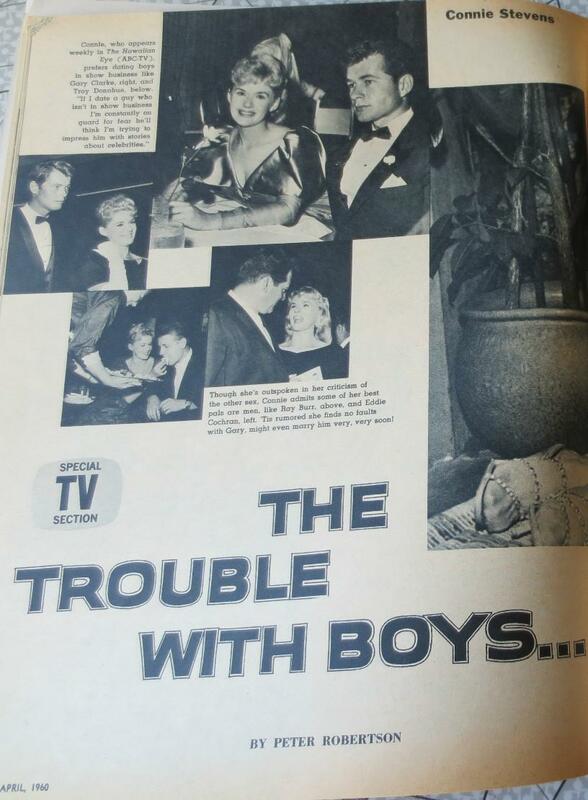 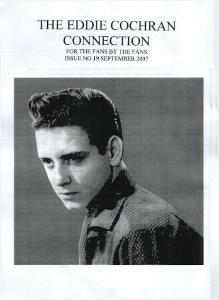 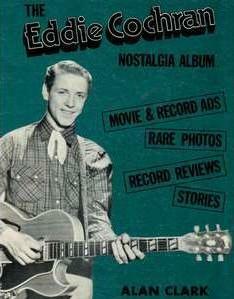 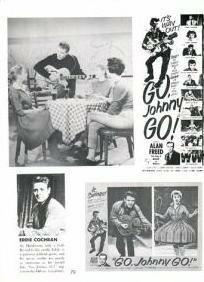 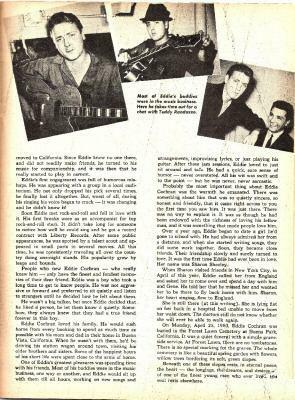 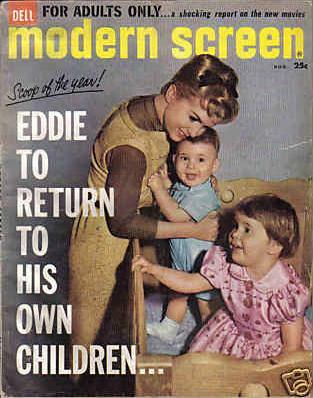 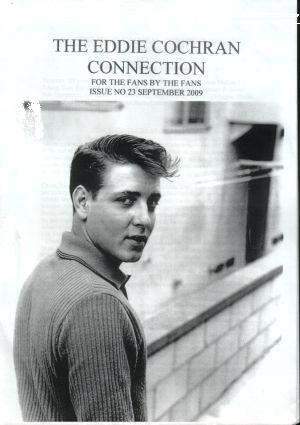 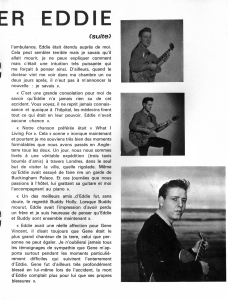 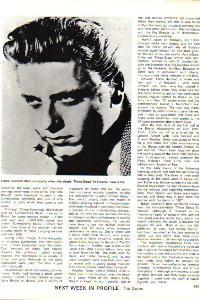 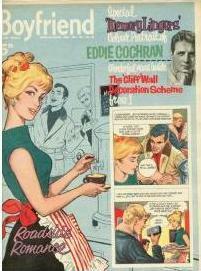 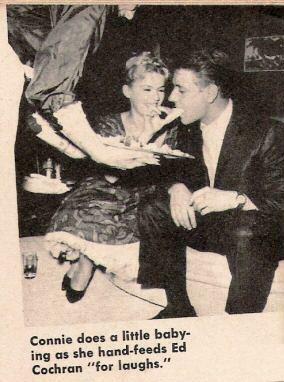 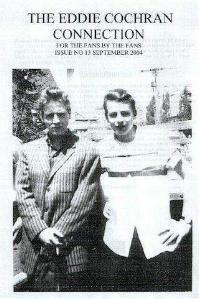 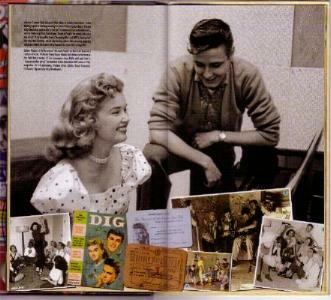 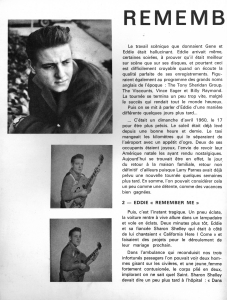 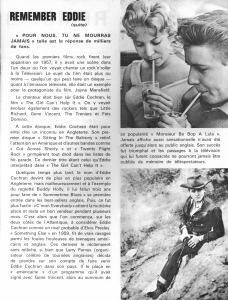 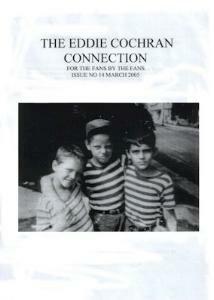 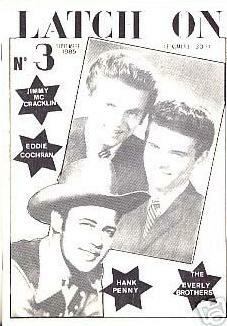 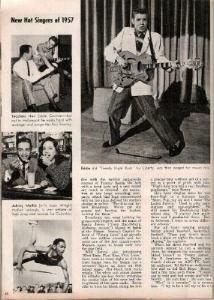 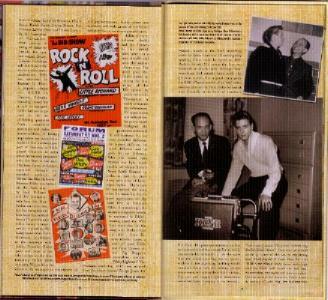 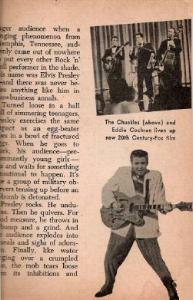 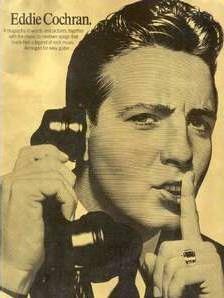 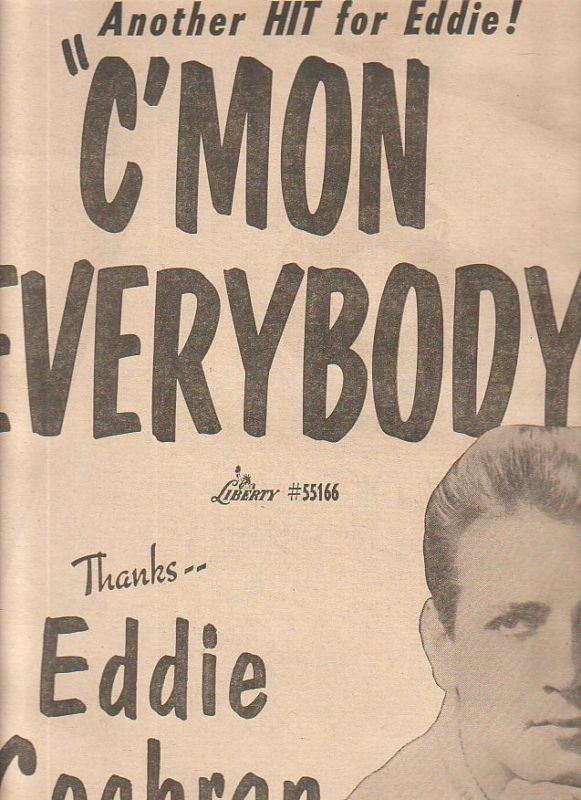 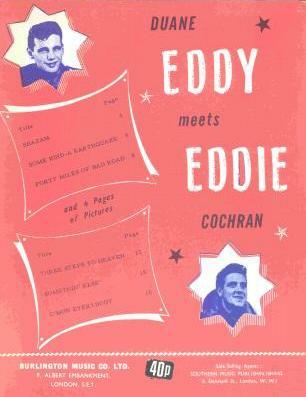 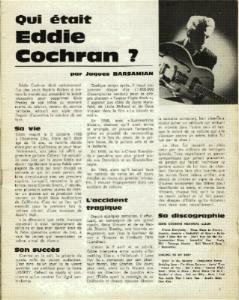 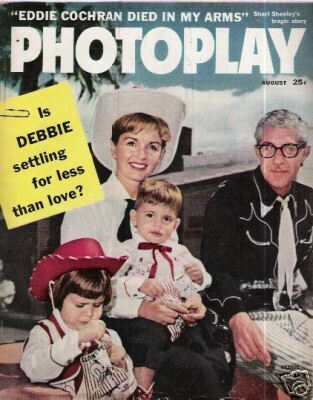 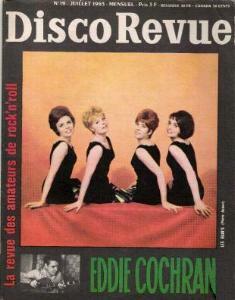 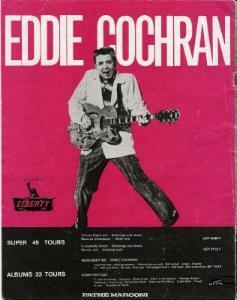 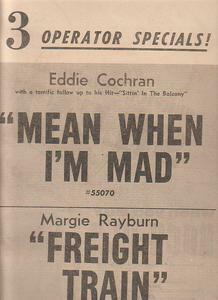 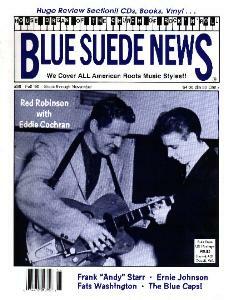 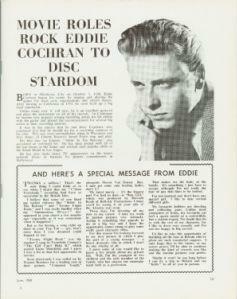 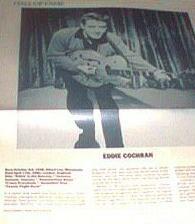 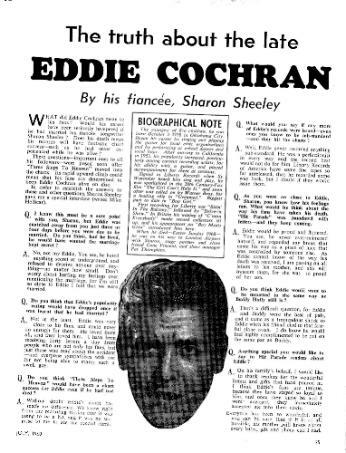 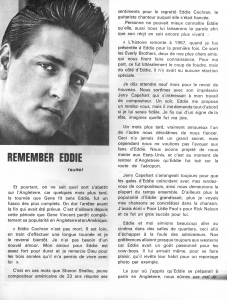 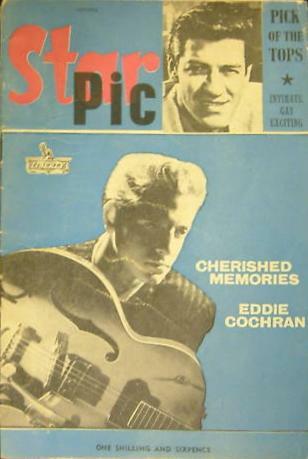 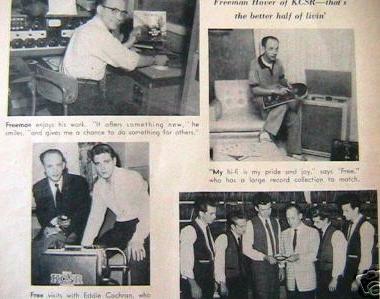 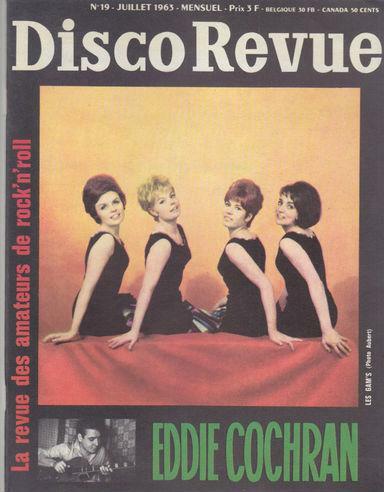 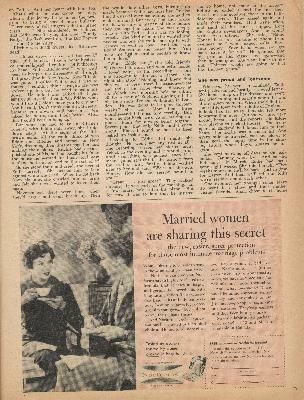 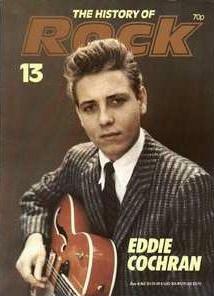 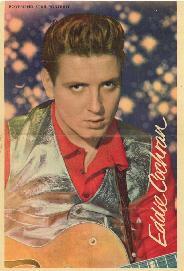 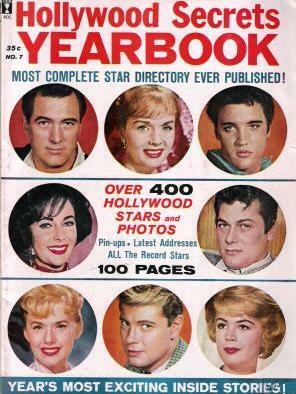 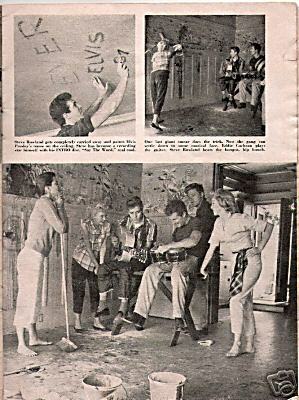 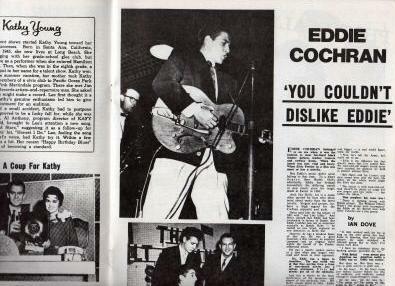 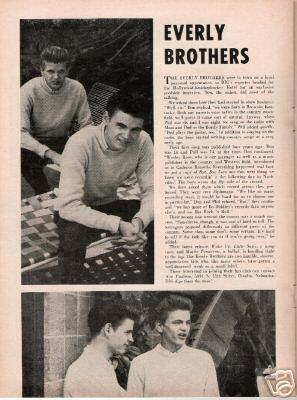 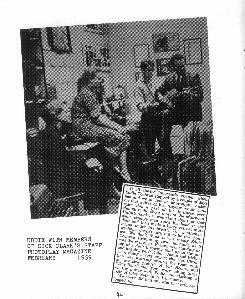 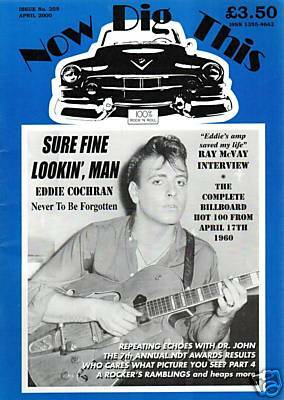 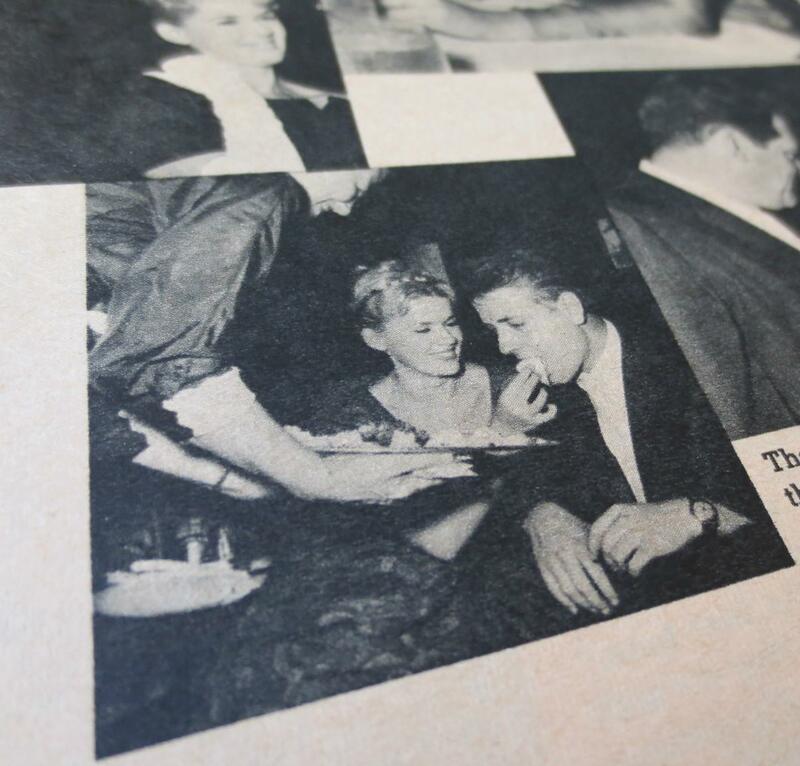 A french magazine featuring great and rare pictures of Eddie Cochran by London photographer Philip Gotlop. 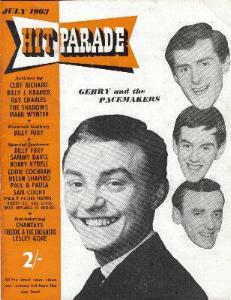 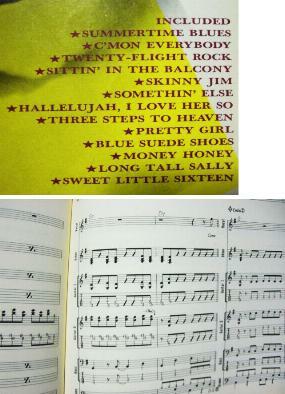 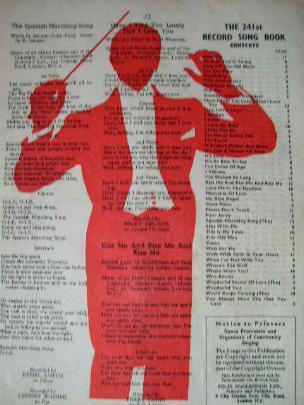 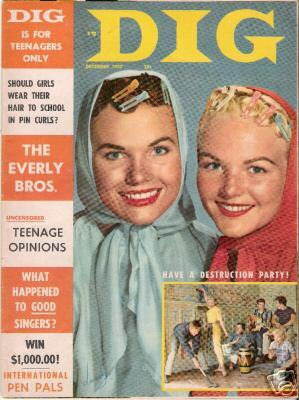 A 12 page 1950s song sheet book (printed by Felix McGlennon circa 1959) with the words to 40+ songs from the 1950s. 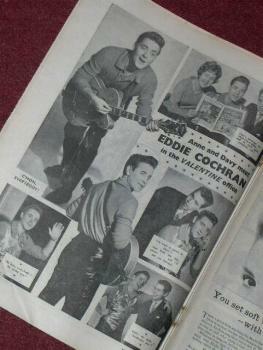 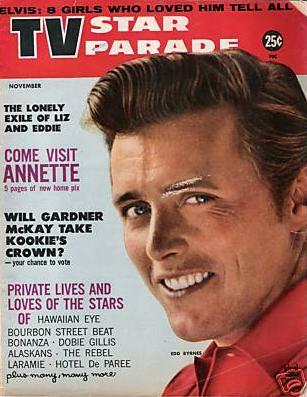 Page 3 has another shot of EDDIE with A 1/2 page write up on him. 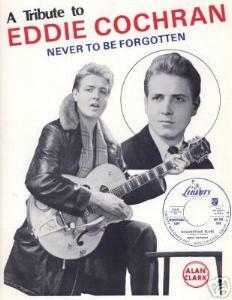 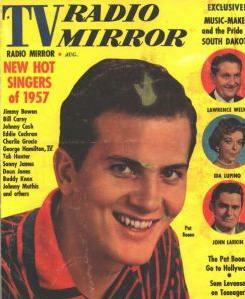 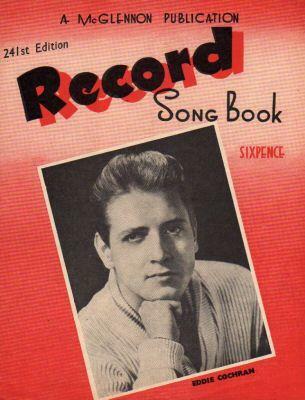 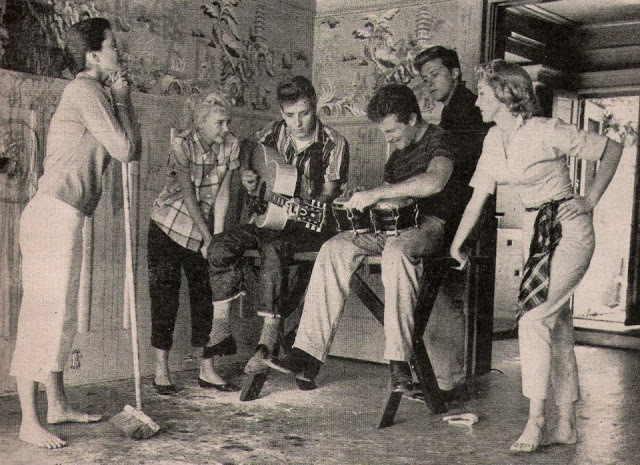 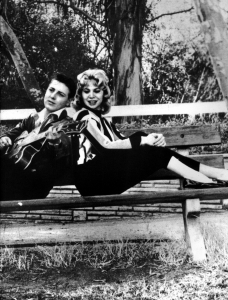 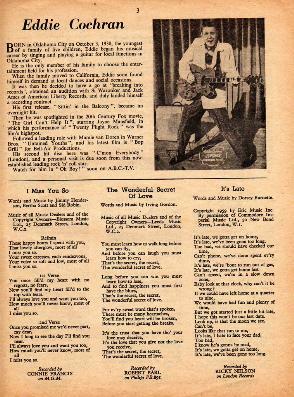 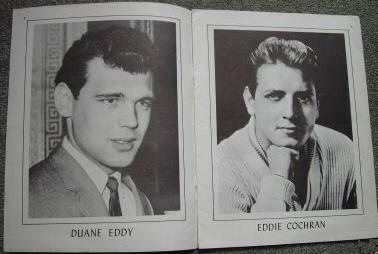 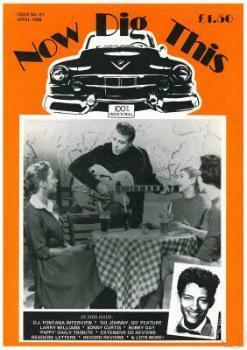 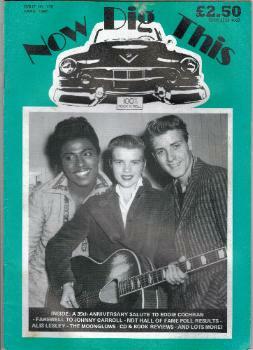 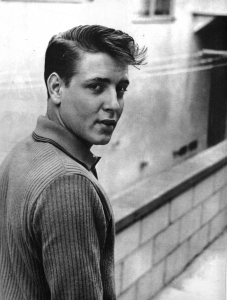 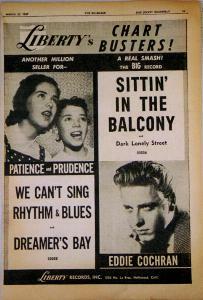 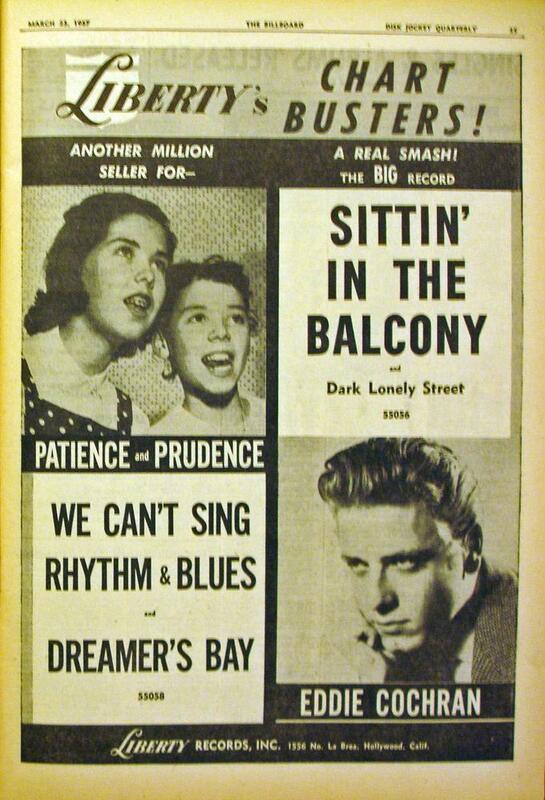 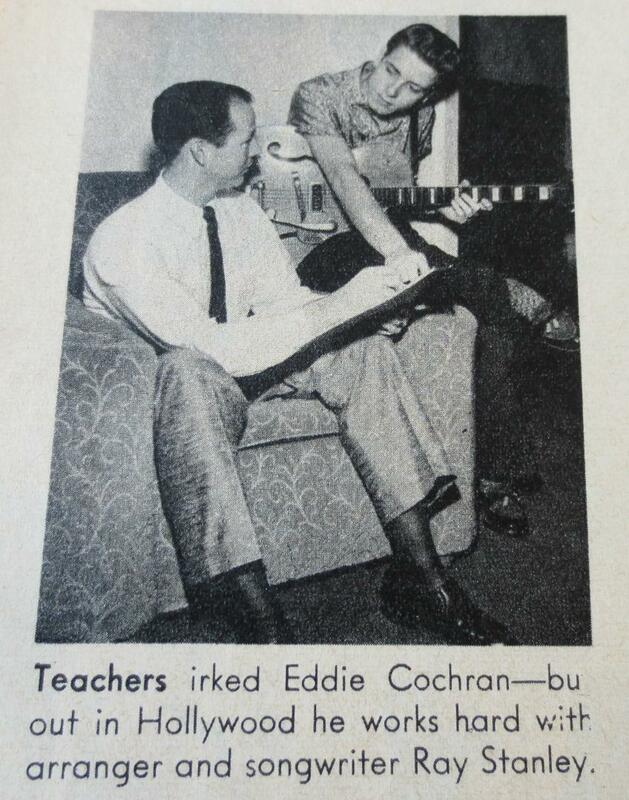 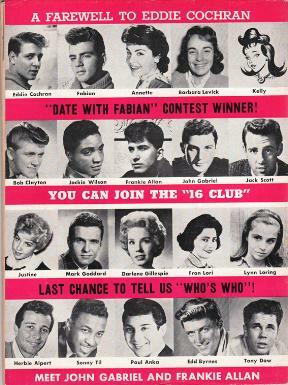 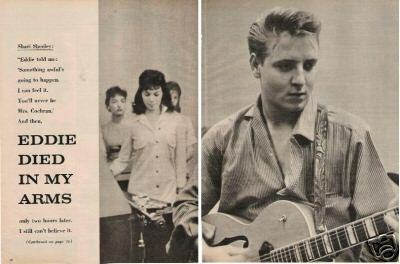 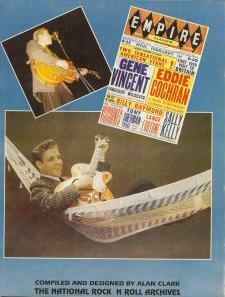 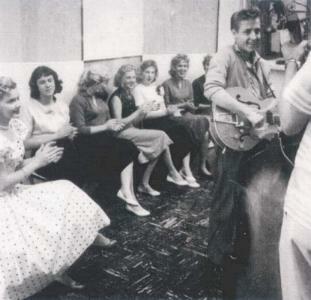 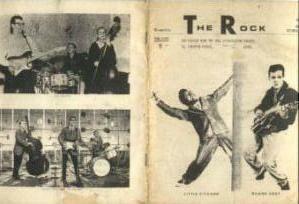 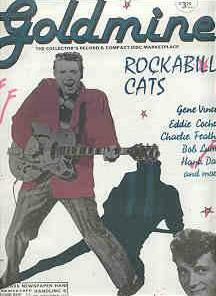 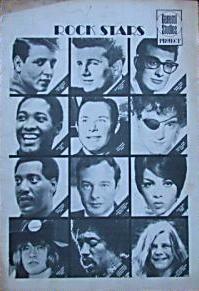 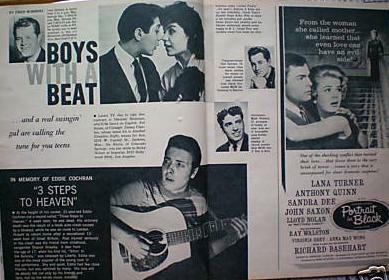 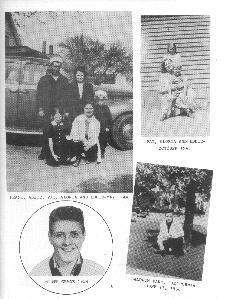 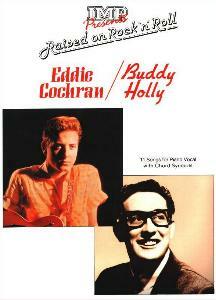 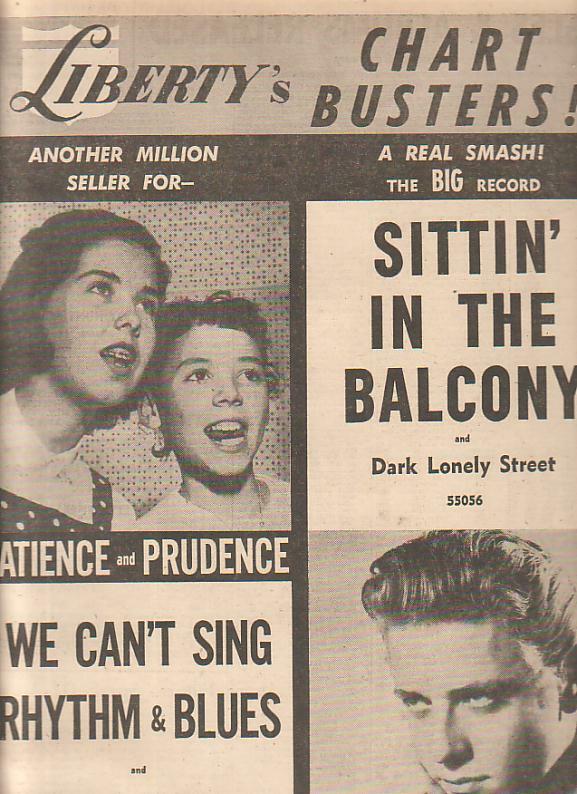 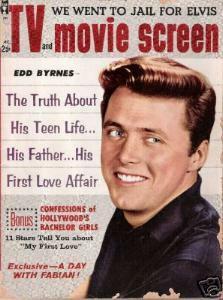 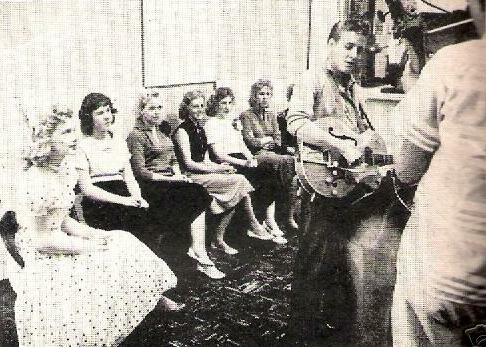 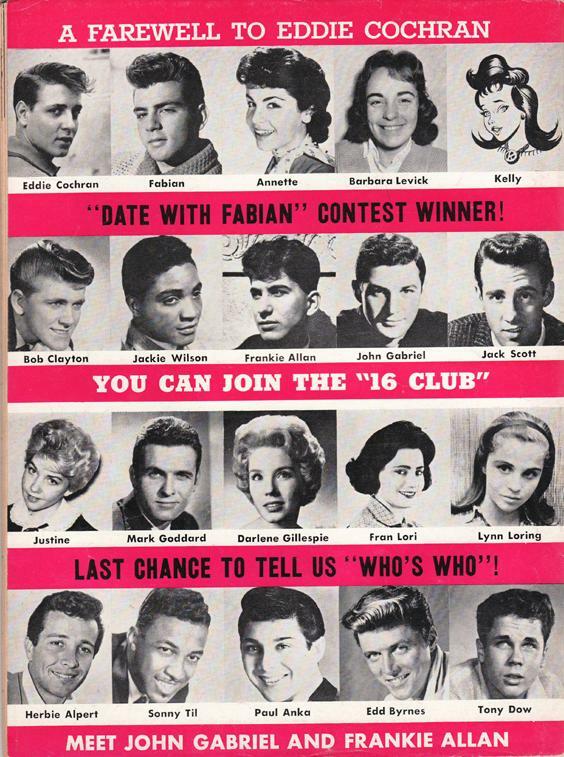 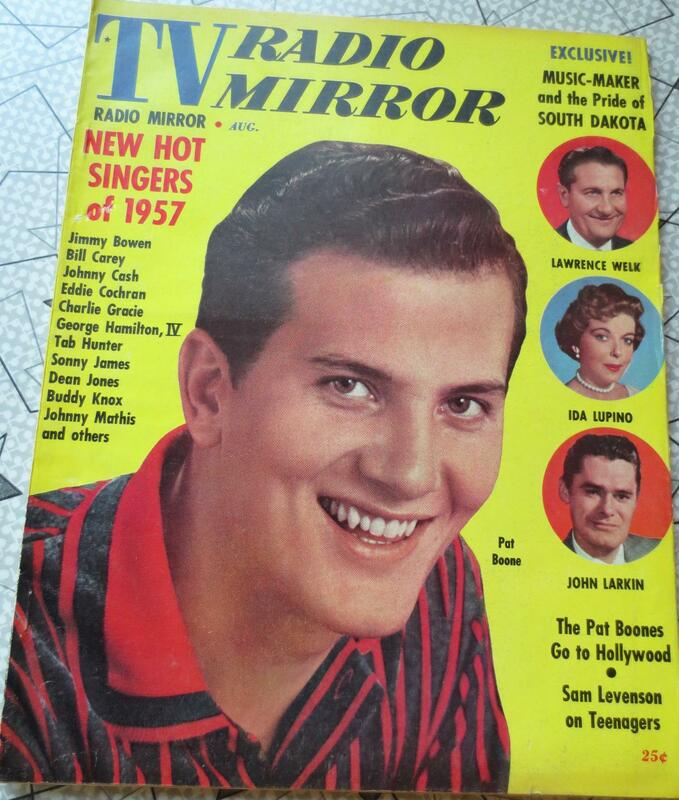 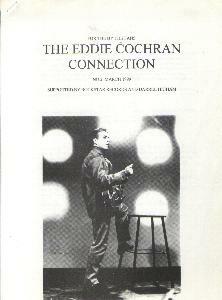 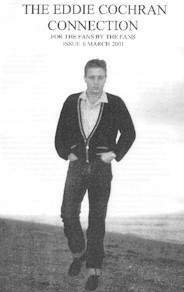 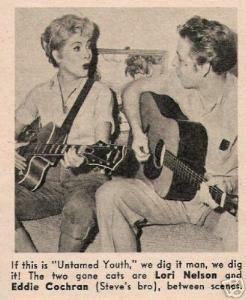 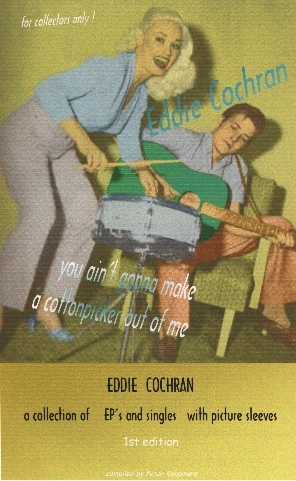 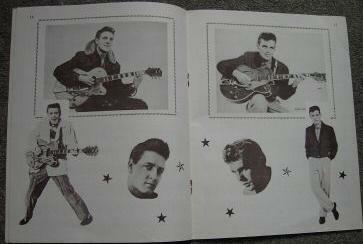 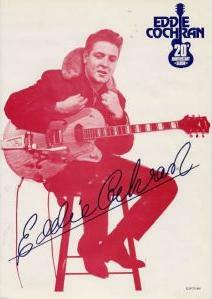 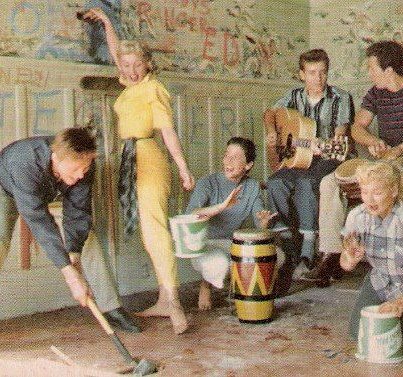 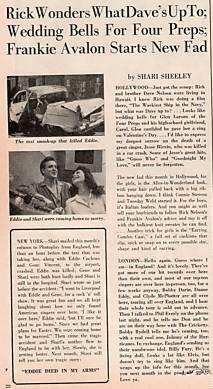 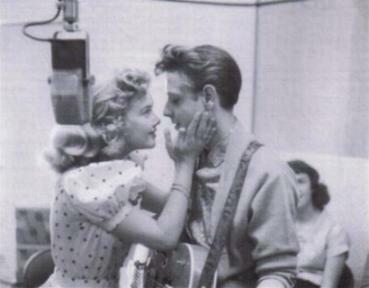 Eddie Cochran songbook, arranged for piano vocal guitar chord boxes. 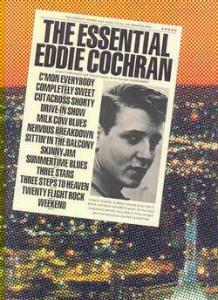 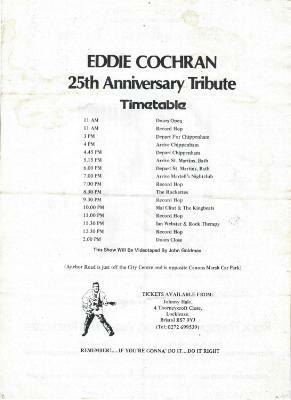 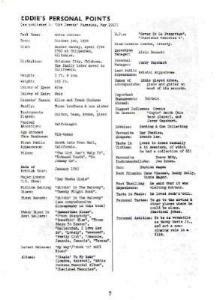 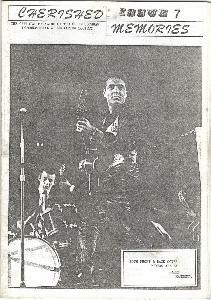 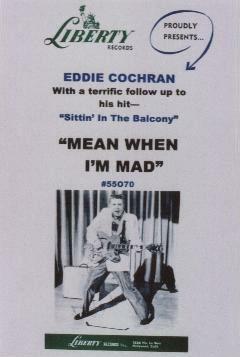 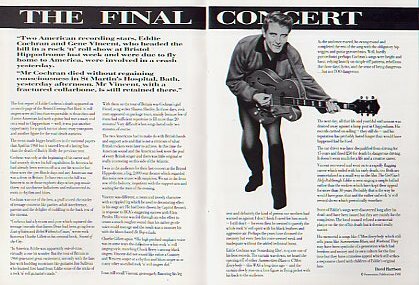 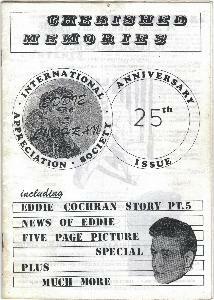 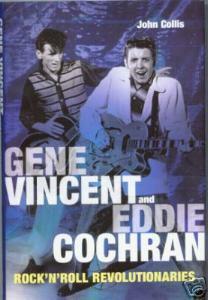 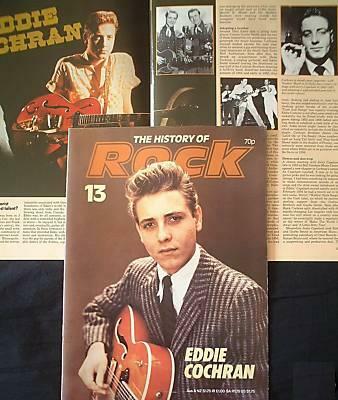 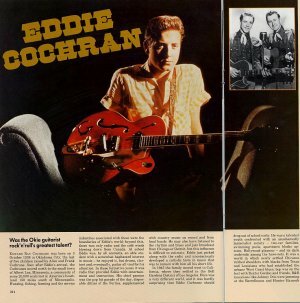 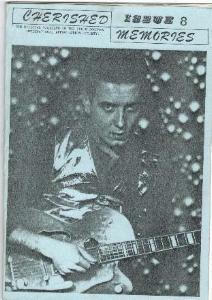 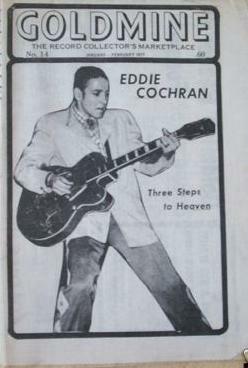 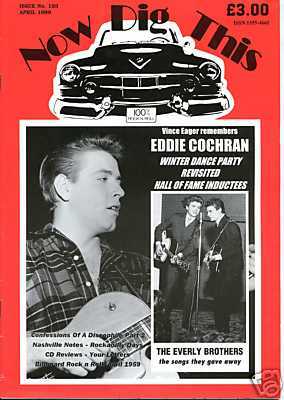 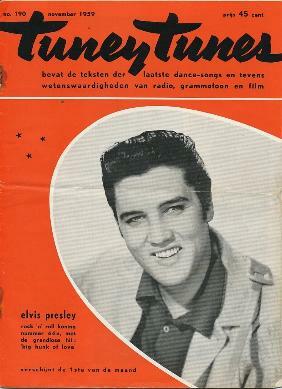 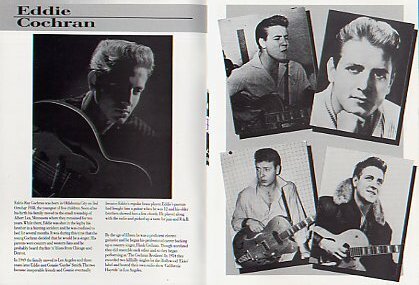 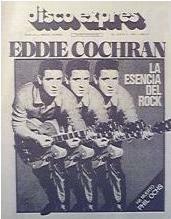 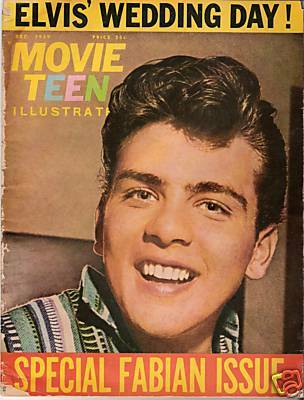 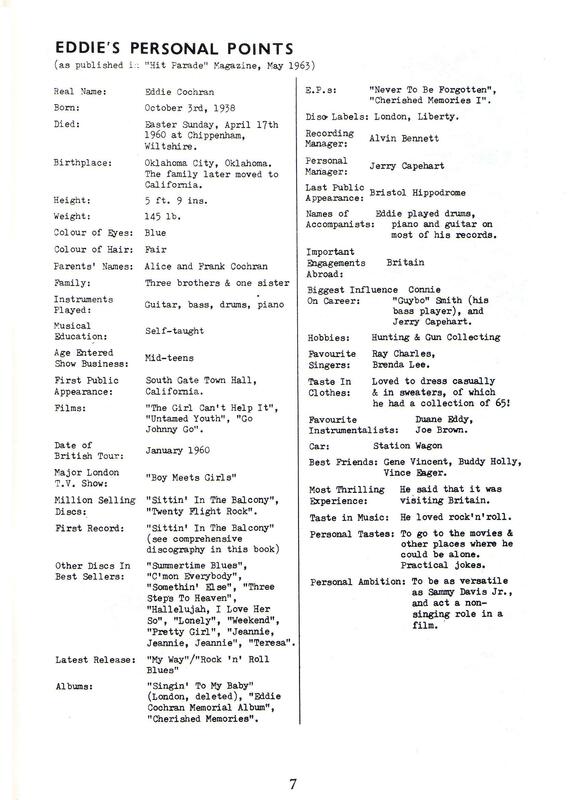 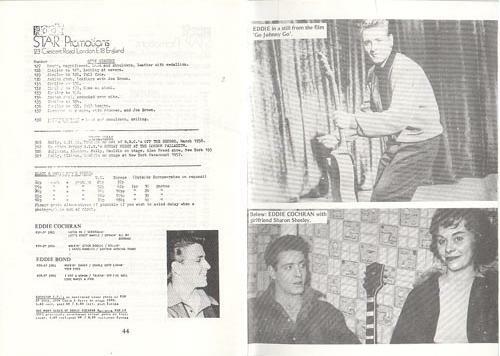 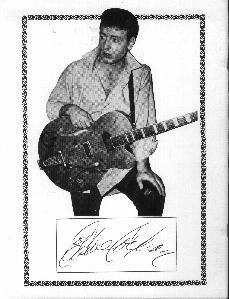 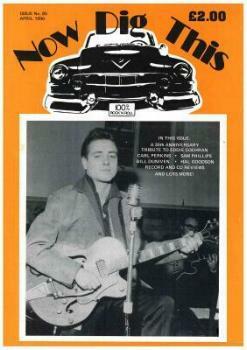 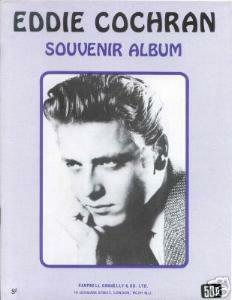 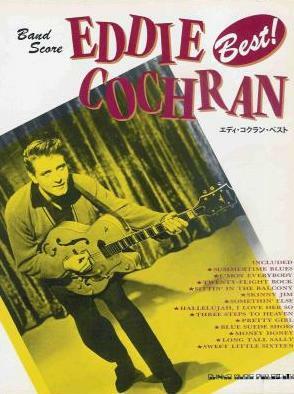 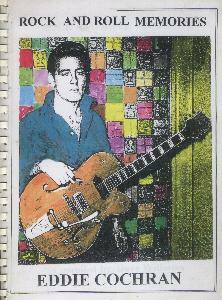 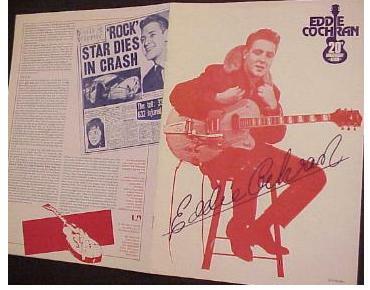 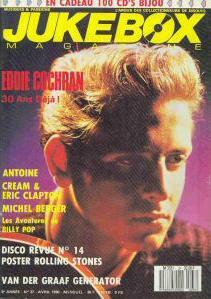 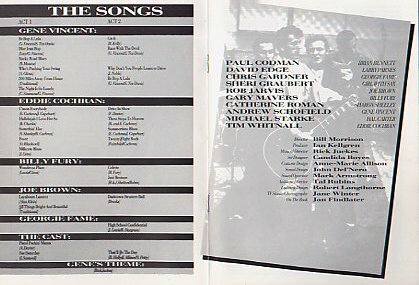 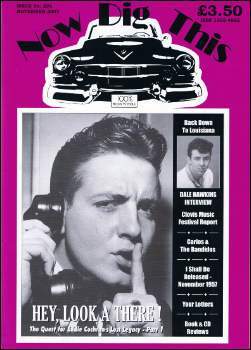 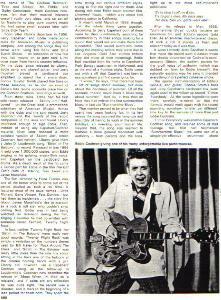 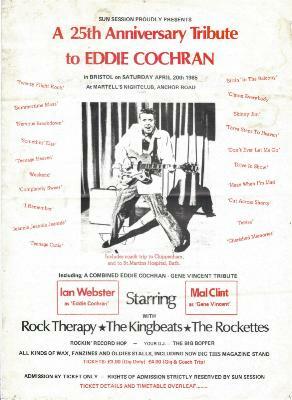 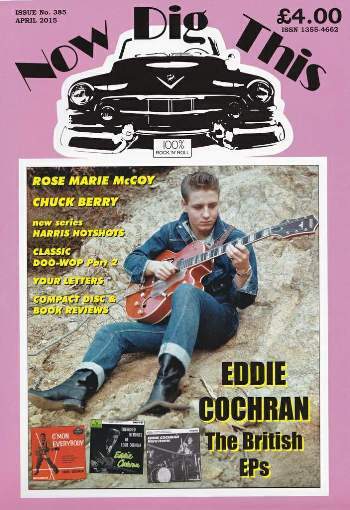 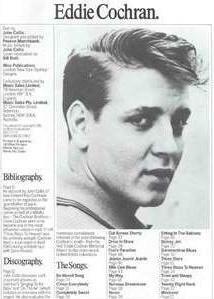 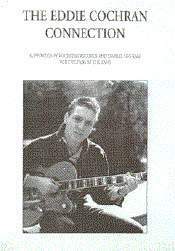 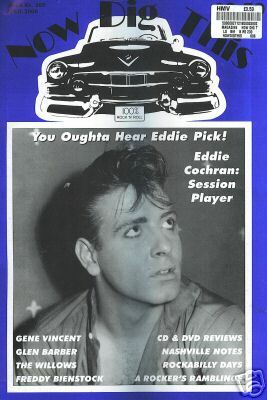 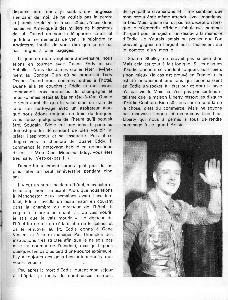 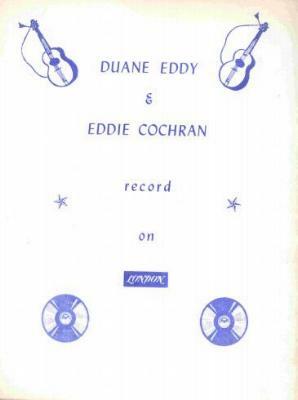 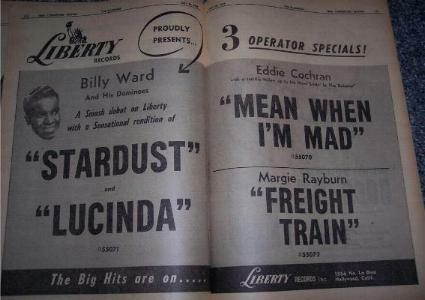 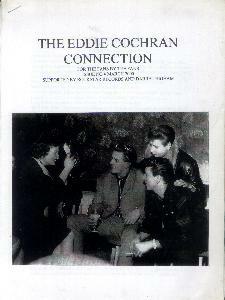 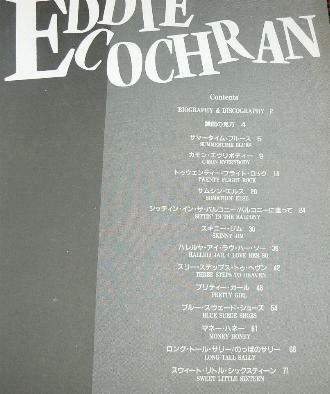 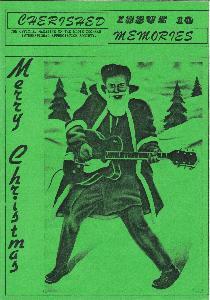 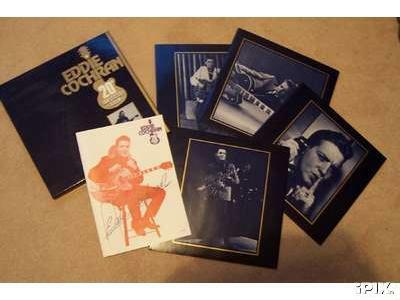 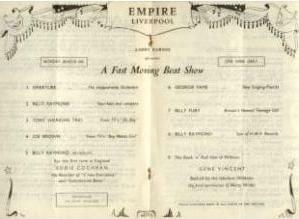 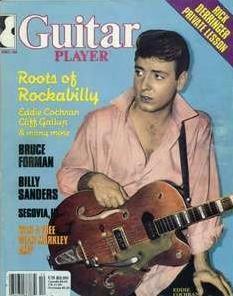 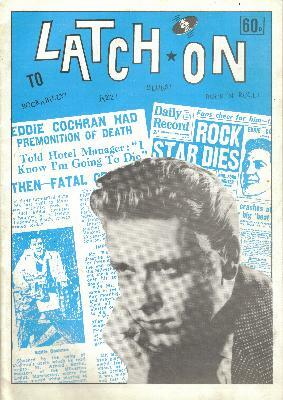 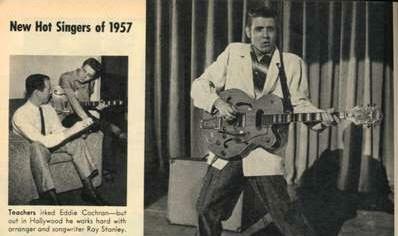 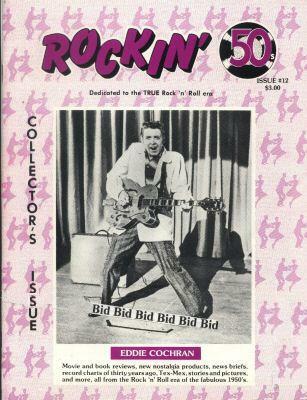 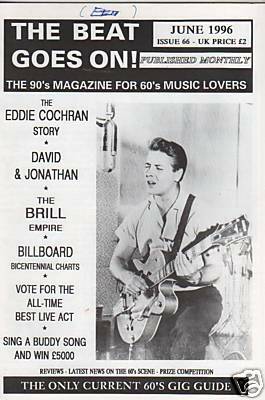 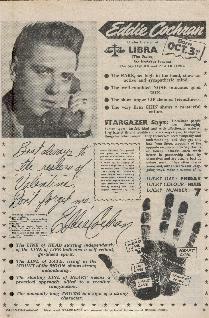 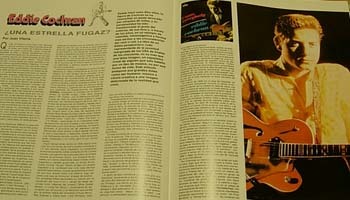 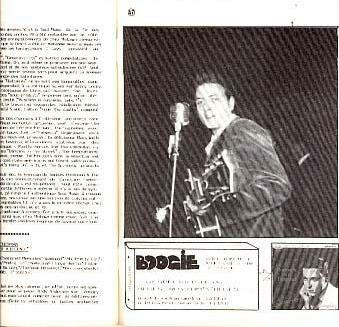 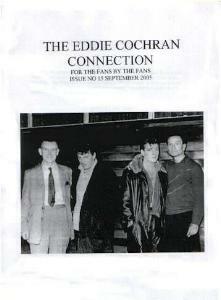 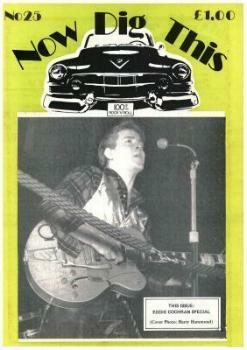 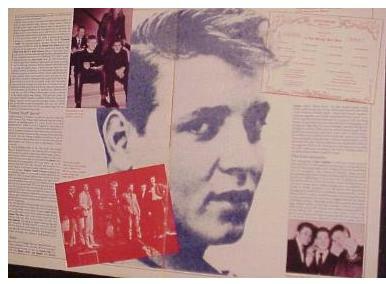 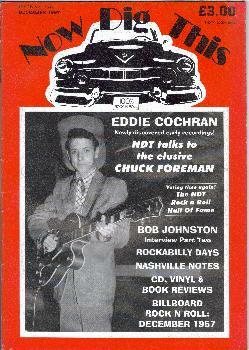 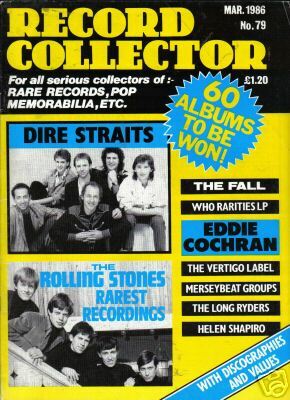 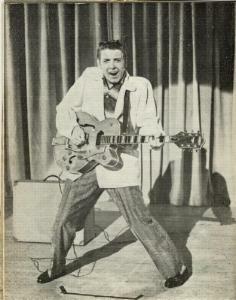 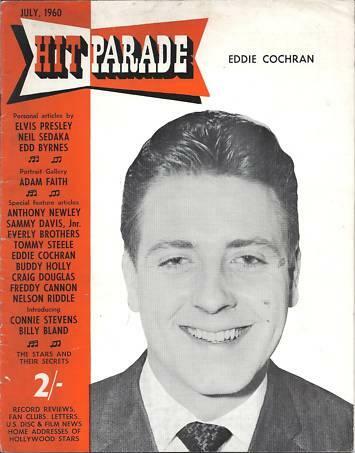 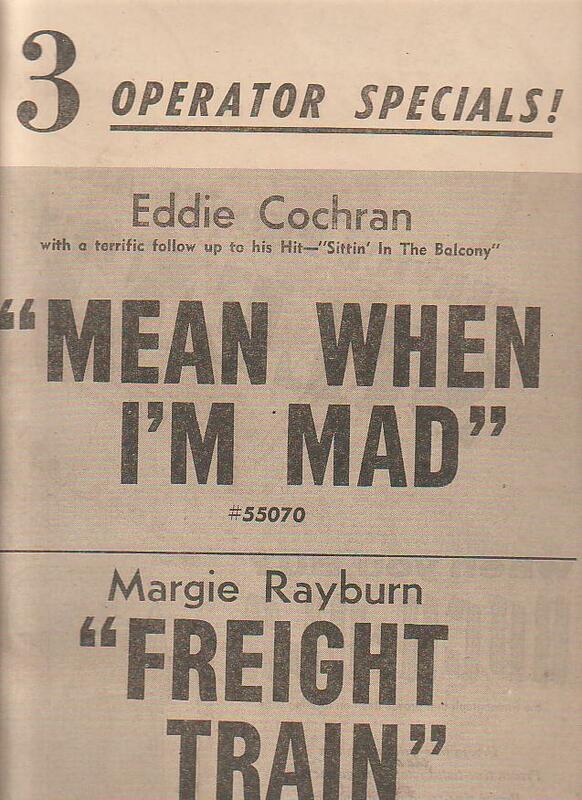 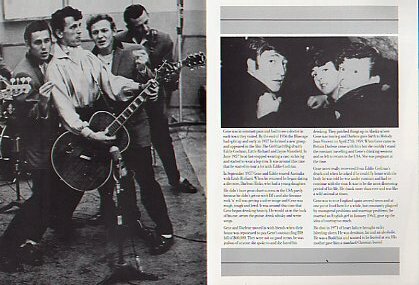 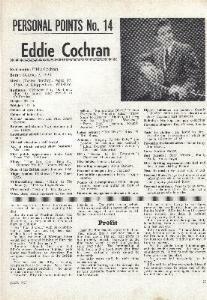 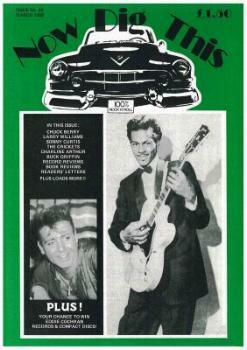 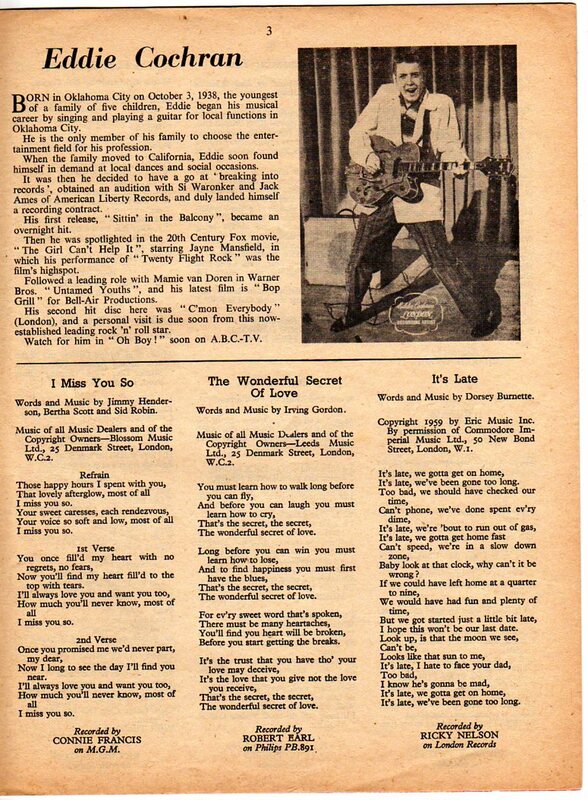 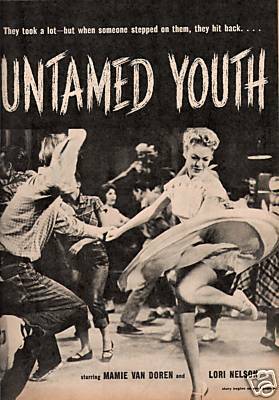 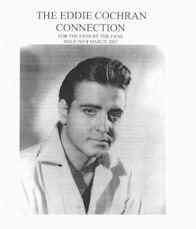 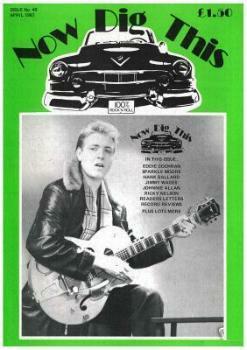 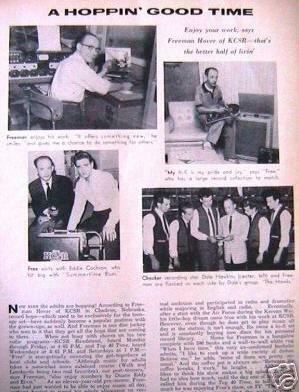 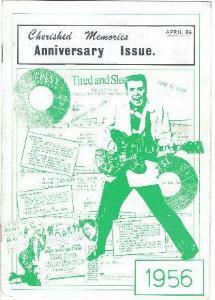 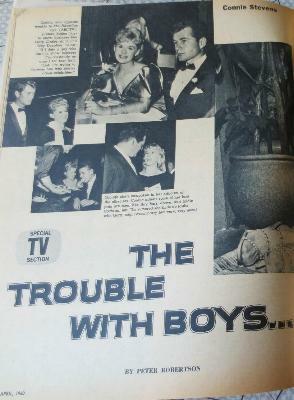 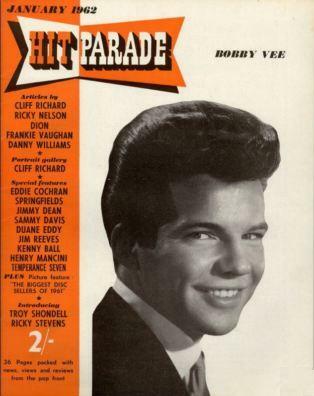 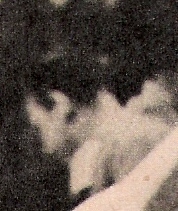 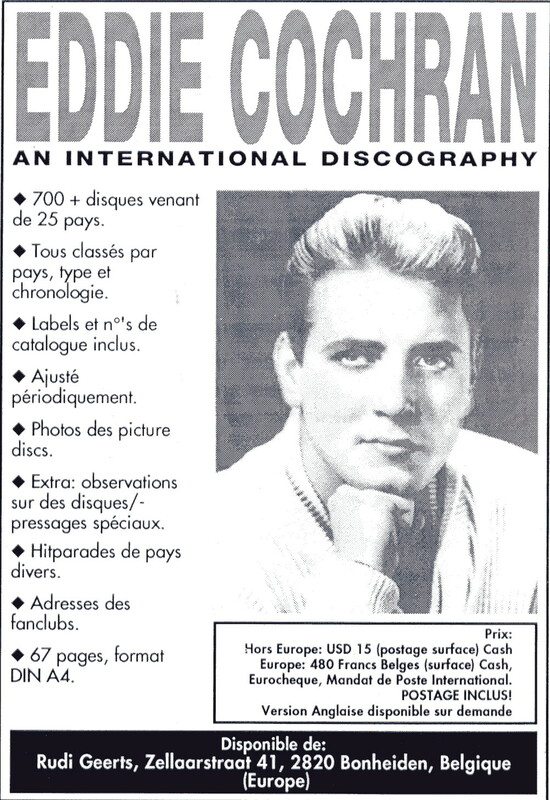 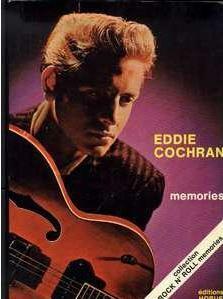 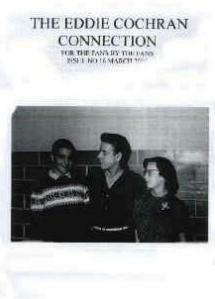 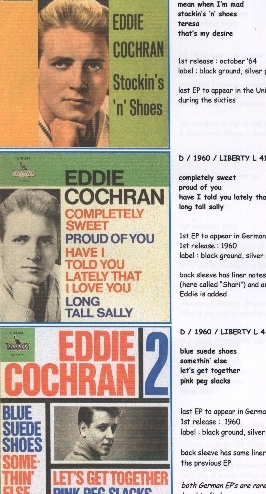 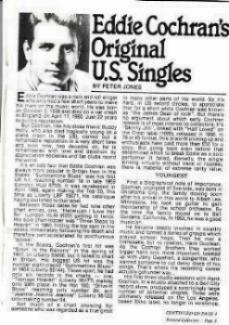 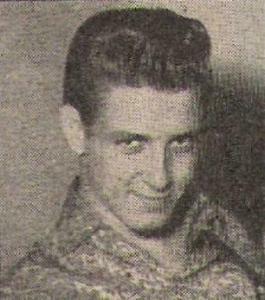 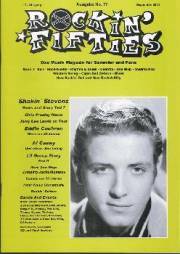 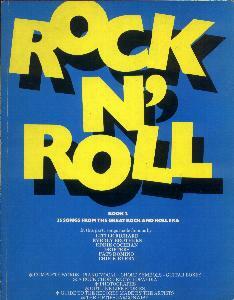 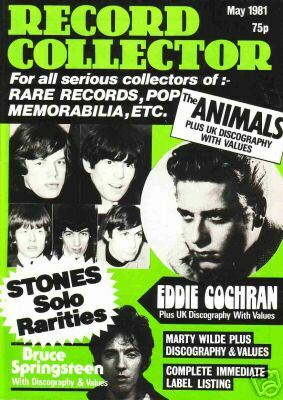 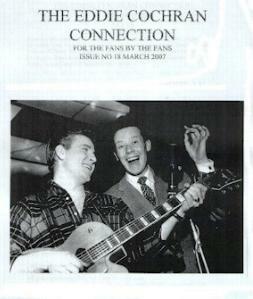 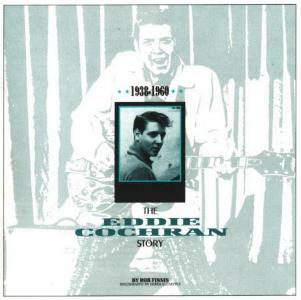 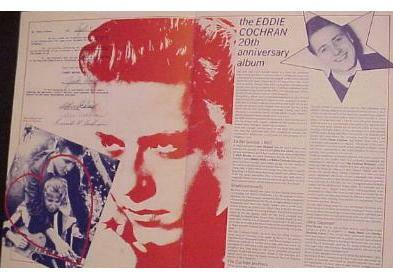 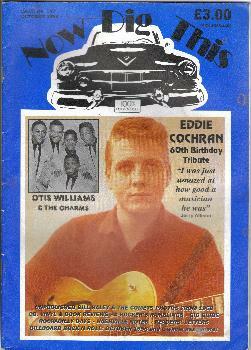 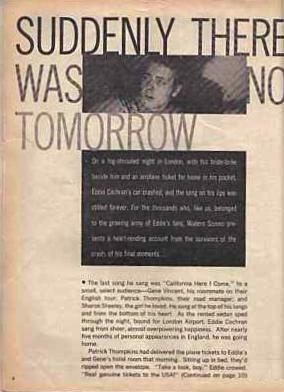 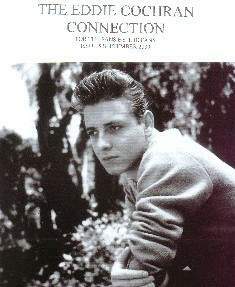 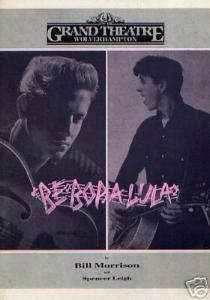 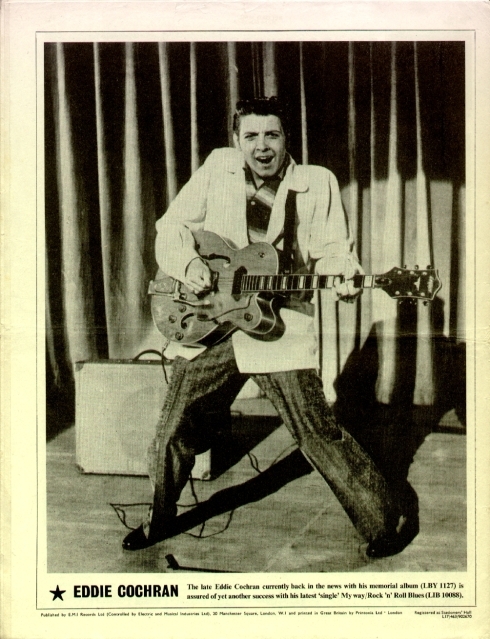 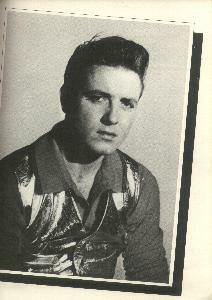 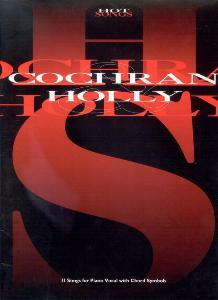 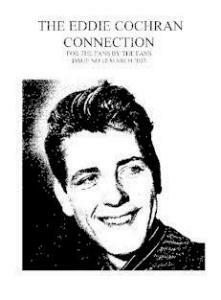 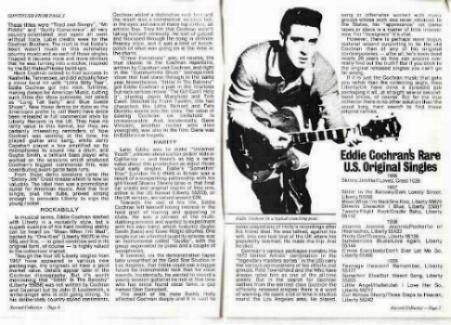 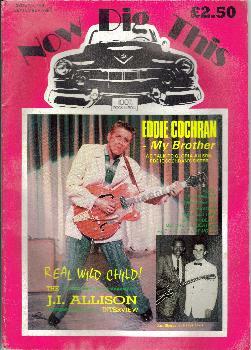 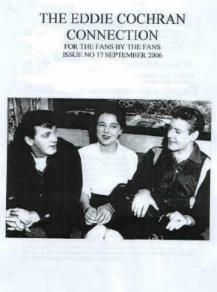 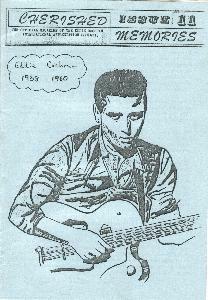 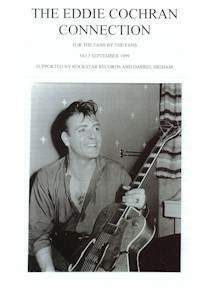 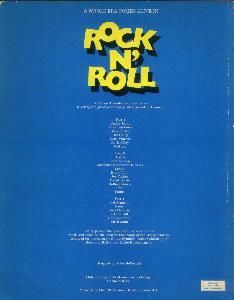 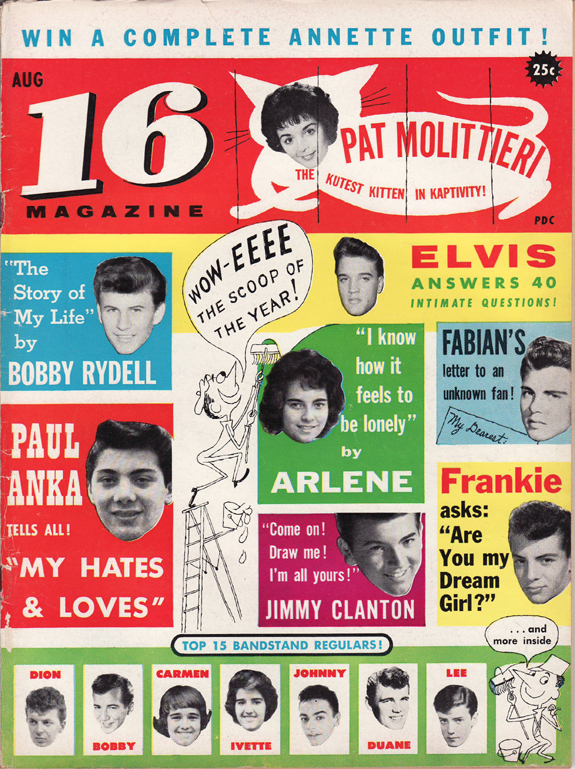 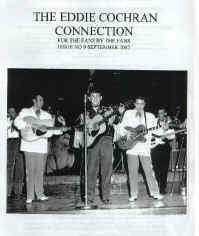 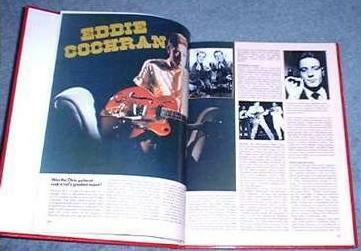 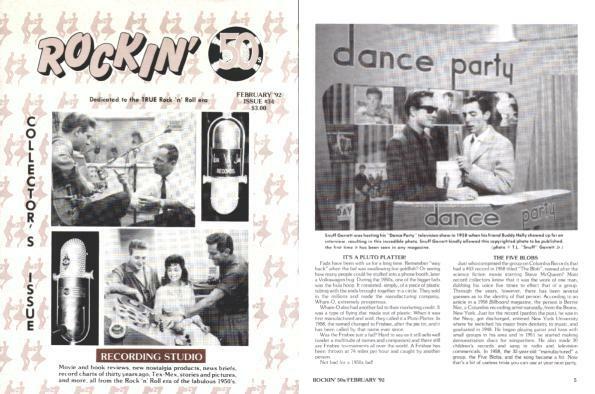 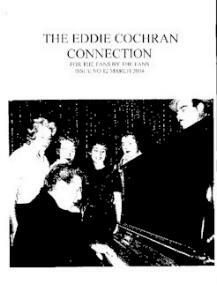 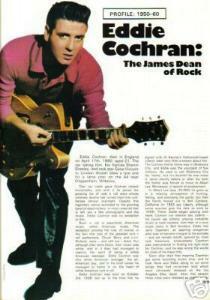 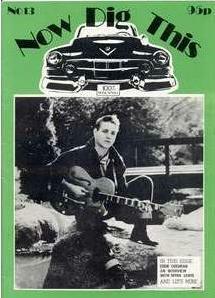 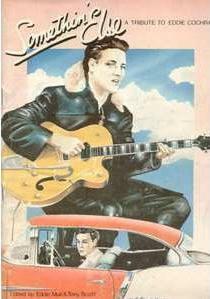 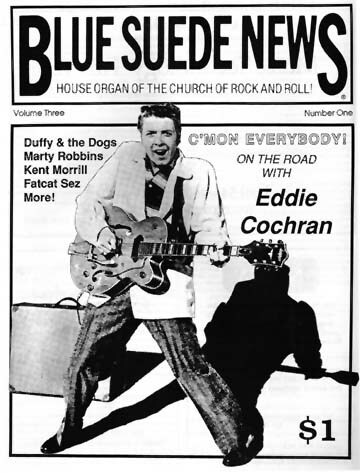 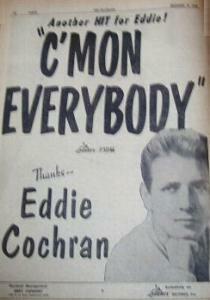 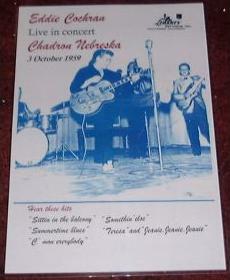 A Booklet written by STUART COLMAN in April 1980, was originally included in the 1980 UK Album Box Set release entitled, EDDIE COCHRAN 20th ANNIVERSARY ALBUM. 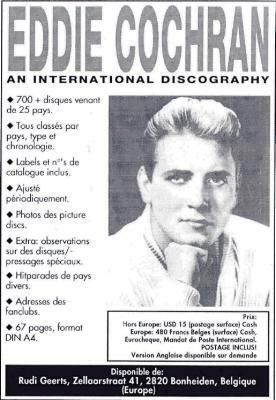 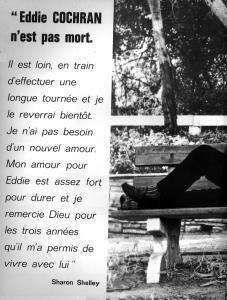 This book is written in French Horus edition, 93 pages, 1979 The Eddie Cochran Nostalgia Album by Alan Clark, 58 pages, 1980. 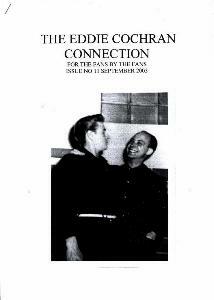 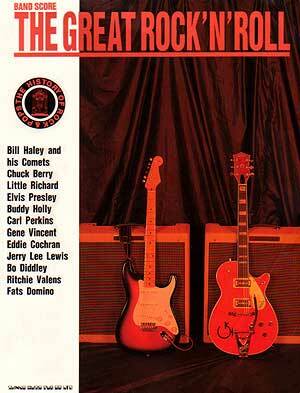 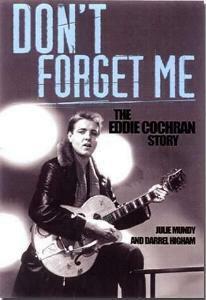 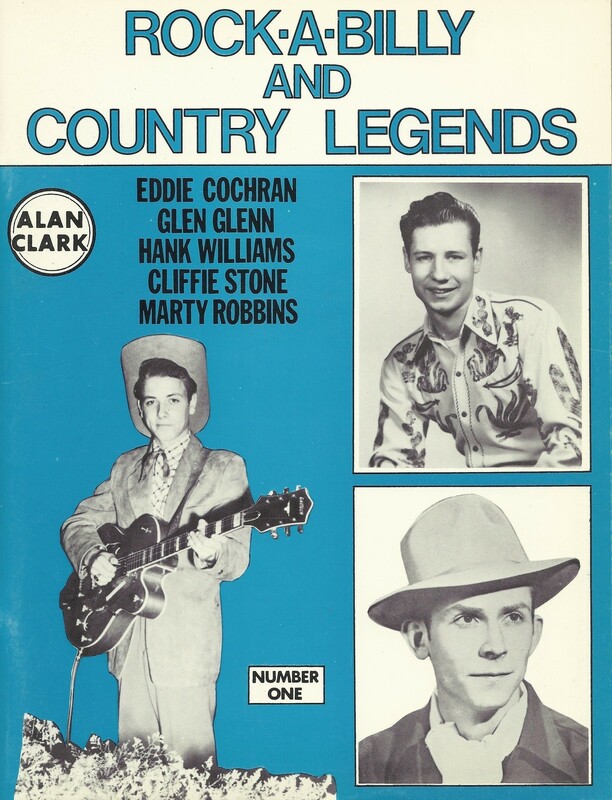 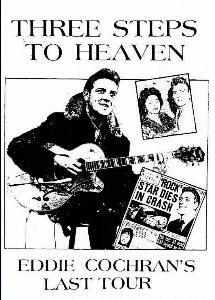 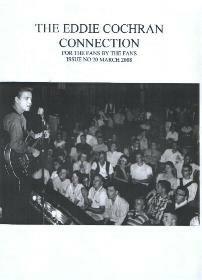 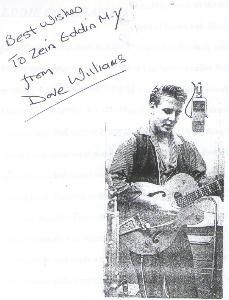 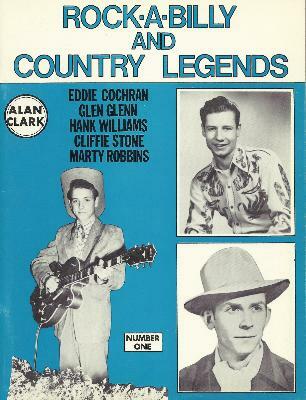 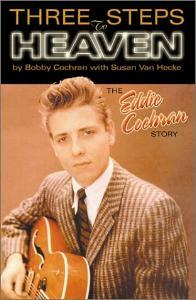 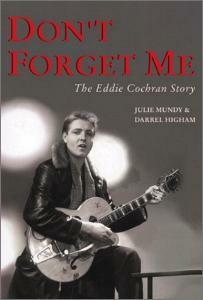 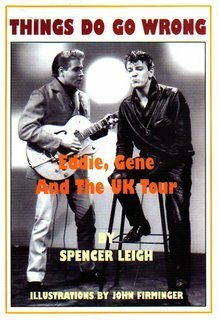 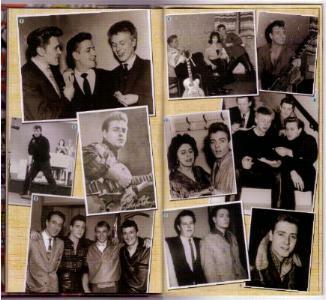 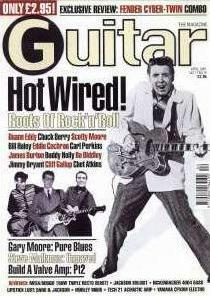 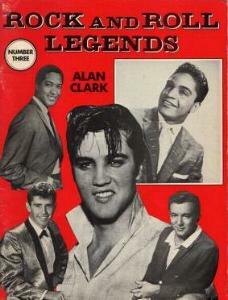 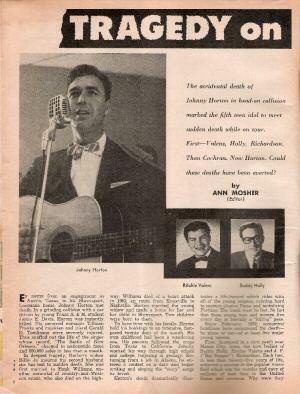 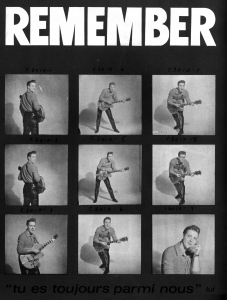 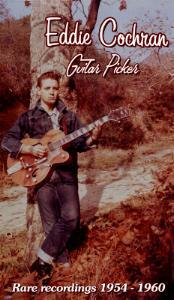 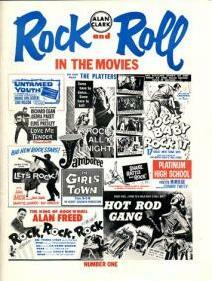 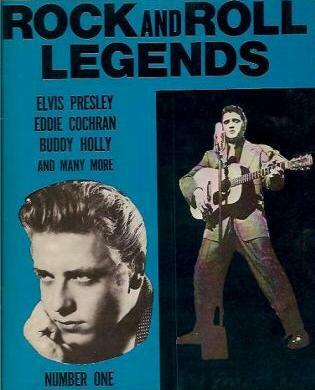 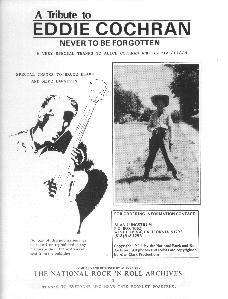 Most of this book is included in Alan Clark's book "Never to be Forgotten"
A Tribute to Eddie Cochran, 48 Pages. 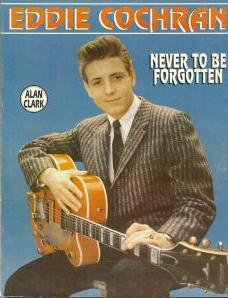 All of this book is included in Alan Clark's book "Never to be Forgotten"
125 pages A4 size - Newspaper cuttings, magazine articles and photographs collected from the 50s and early 60s. 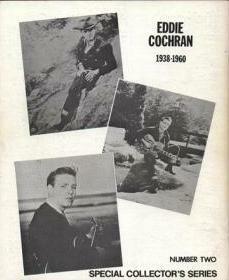 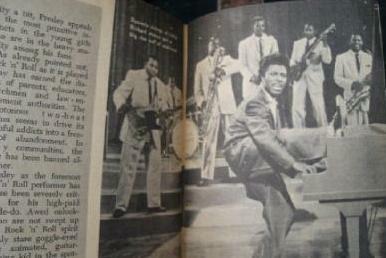 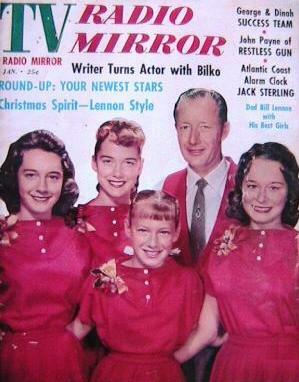 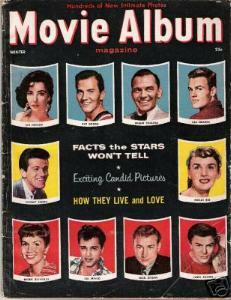 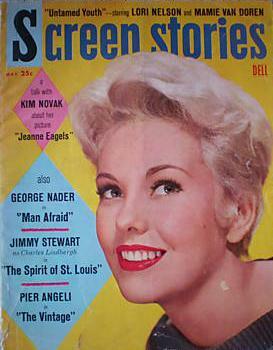 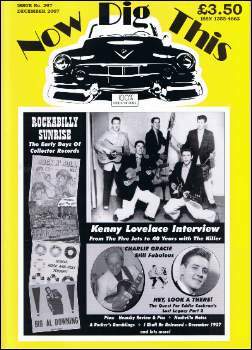 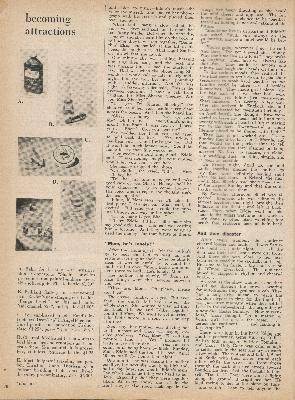 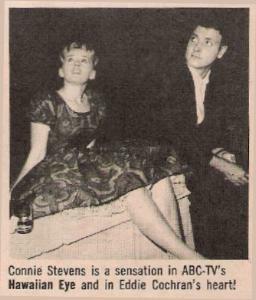 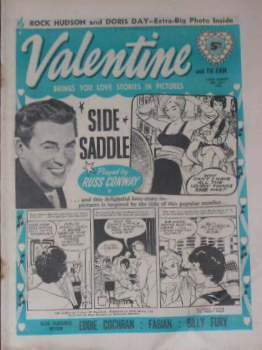 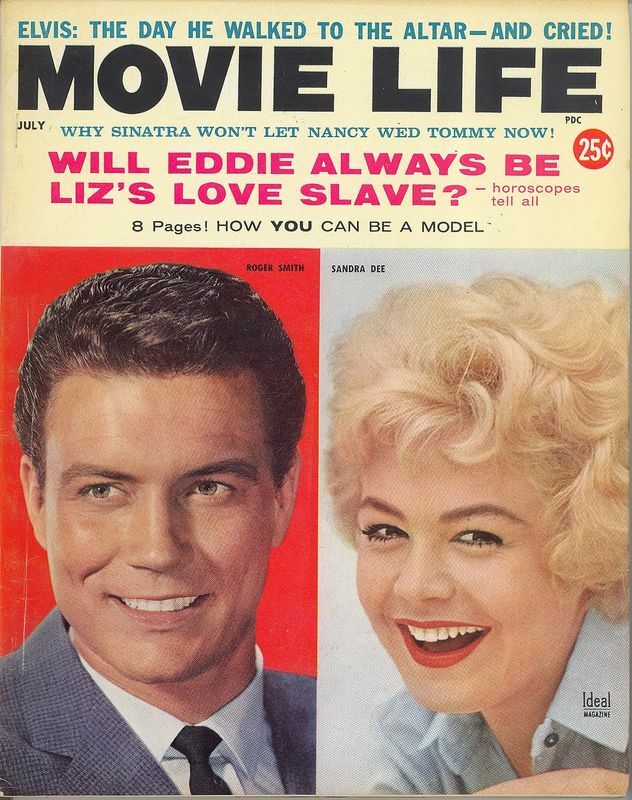 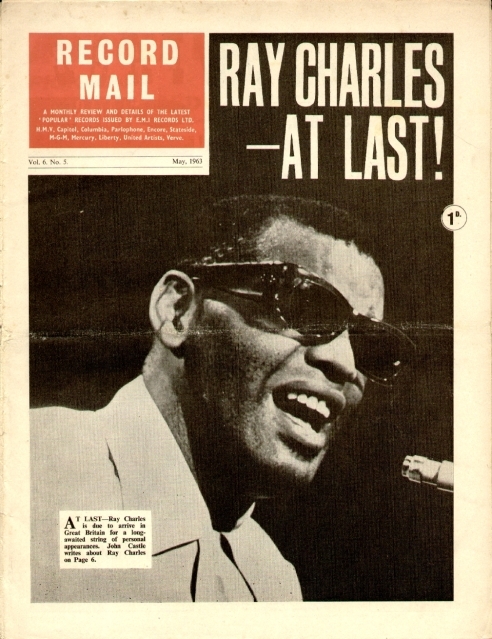 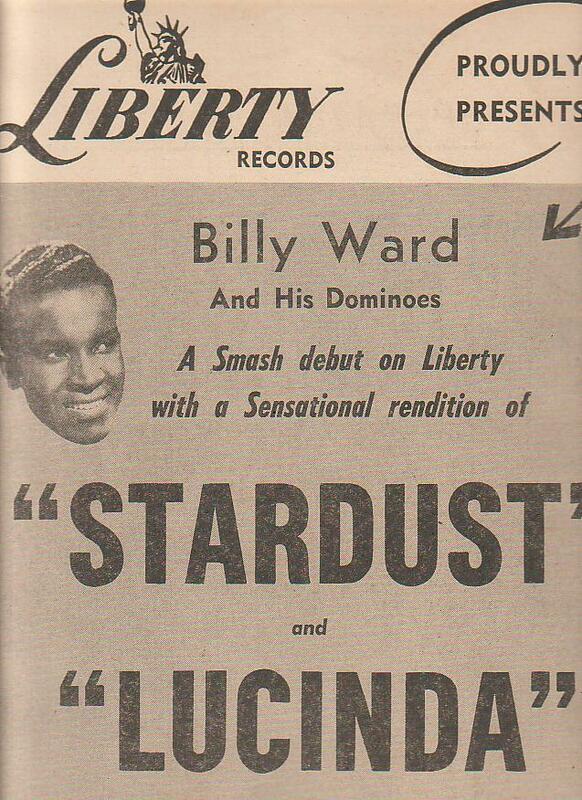 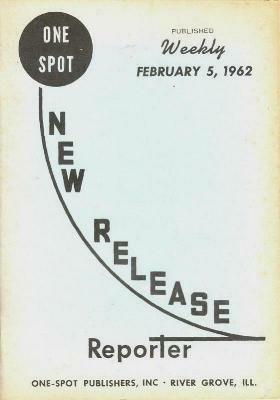 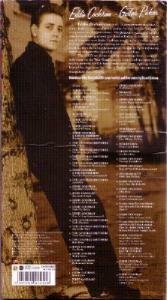 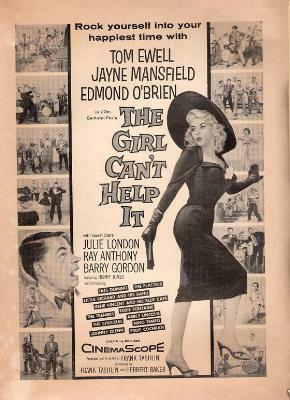 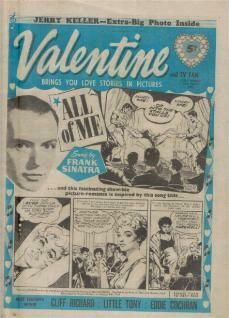 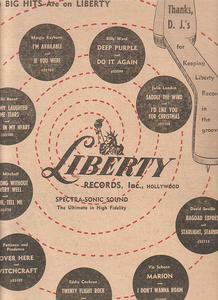 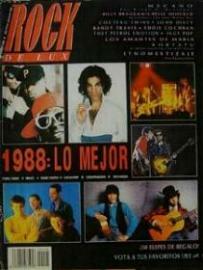 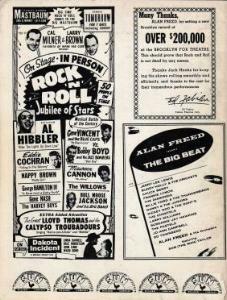 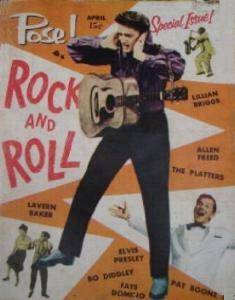 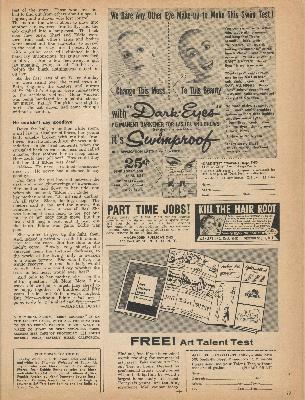 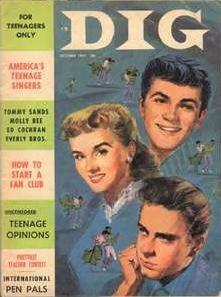 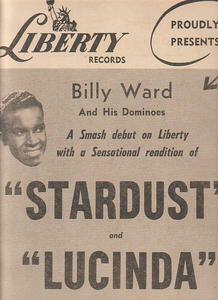 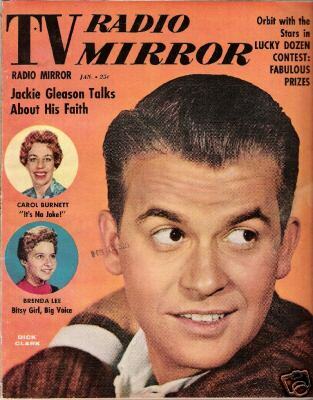 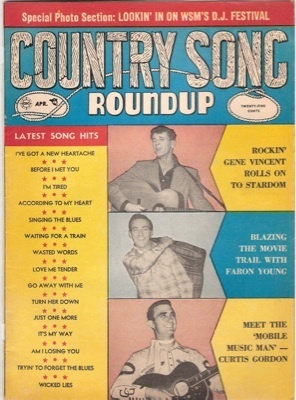 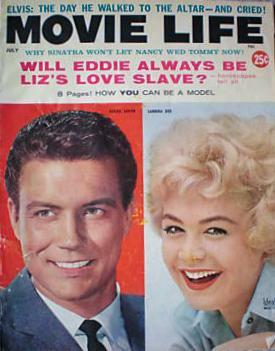 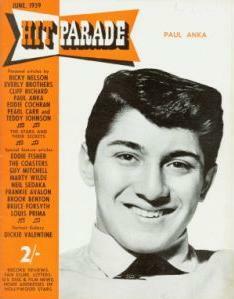 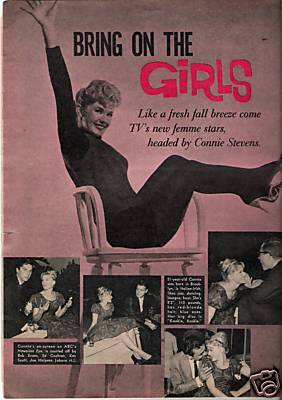 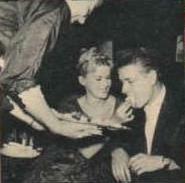 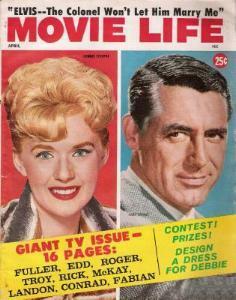 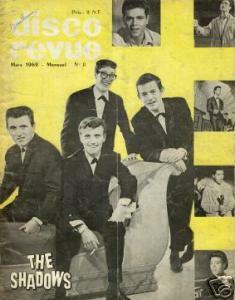 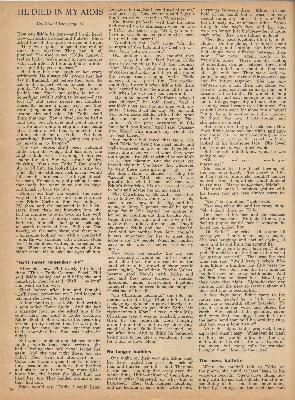 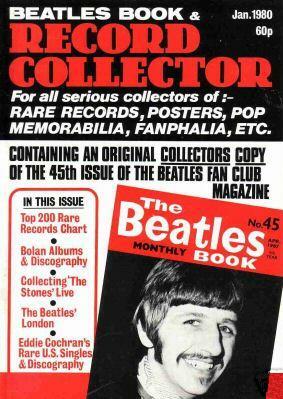 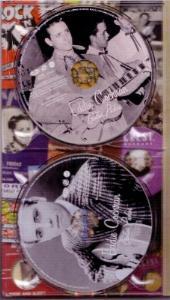 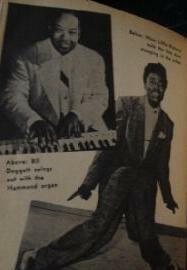 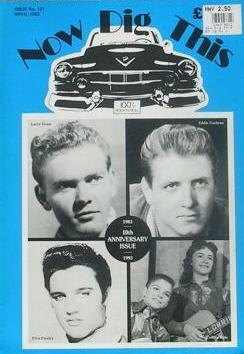 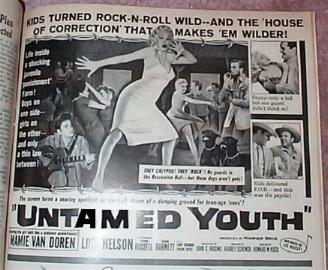 The publication includes an illustrated discography.